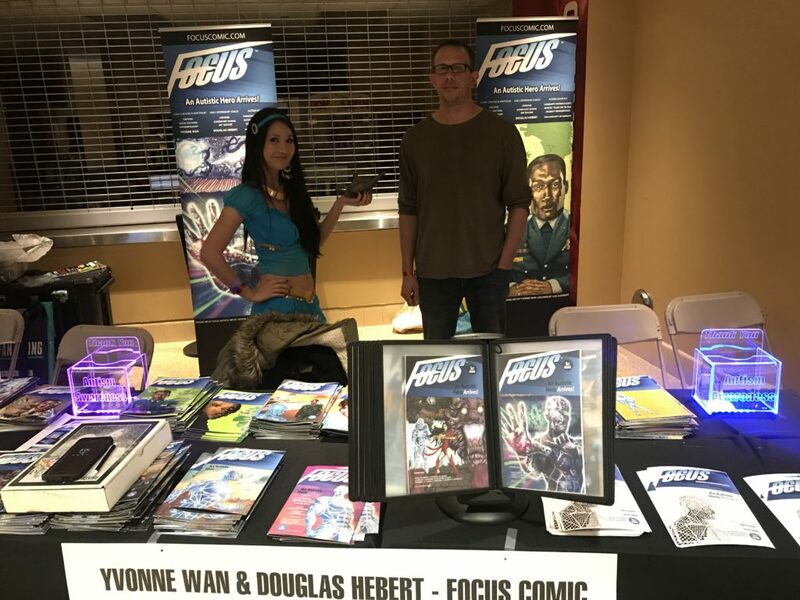 Focus Comic had a successful community outreach event at Ace Comic Con Arizona where the creator Yvonne Wan; main artist Douglas Hebert and Gaby Tyrrell (TV presenter with autism) met the general public and provided free art workshops for kids and young adults. Thank you Ace Comic Con for consistently supporting us by providing us a platform to reach a massive audience in raising autism awareness. Ace is the first comic con in Arizona to support us since the book was released in 2018. This was a special event because Arizona is our home state where the project first began. We had community outreach events in 6 States in 2018 and we are hoping to have community outreach events in all 50 states with the help of the general public and organizations who support autism awareness. We would like to give special thanks to ASU (Arizona State University) and The Autism Society of Greater Phoenix for endorsing our social work in the community. It is a honor to serve the community regarding important social matters that transform and save lives. We received a warm reception among kids and adults keen to learn about Focus the autistic super hero. 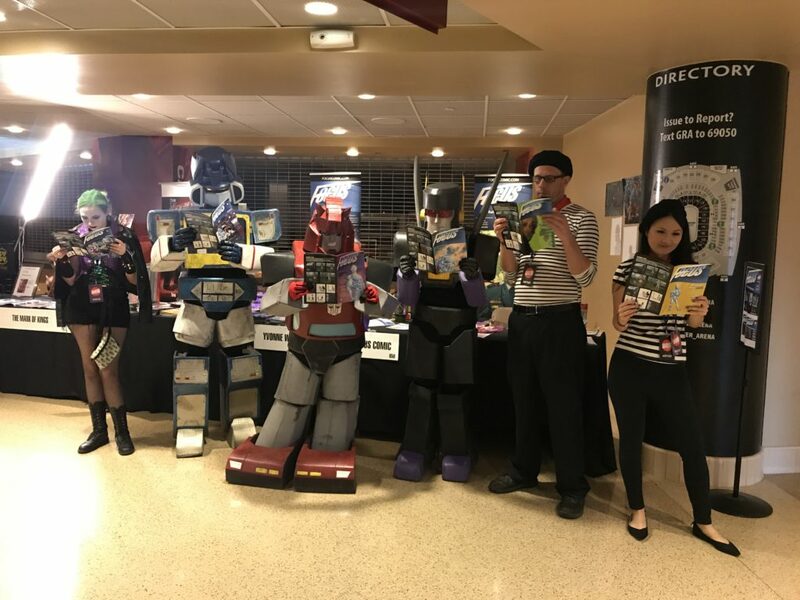 Even The Transformers love Focus Comic! Attending the event were celebrities including Tom Hiddleston, Michael Fassbender, Tye Sherridan, Alexandra Shipp, Kristen Ritter, Charlie Coxx, David Tennant, Alexa Bliss and Charlotte Flair. Our creator Yvonne Wan produced this Xmen Themed ACE Comic Con Highlights Film. The film features Xmen actors Michael Fassbender; Tye Sherridan and Alexandra Shipp who attended the show, plus the audience at the Xmen Panel. We hope you like the film! The Xmen and many other comics celebrate human diversity in many ways, including Focus Comic. We are proud to feature one of the worlds first autistic super heroes in our book in this pioneering social cause project that will unite the community with the common goal of acceptance. We are excited to share our Focus Comic community coloring competition highlights film with you. Congratulations to our competition winners. Thank you to those who participated in the community coloring competition. We also like to thank Blick, Showcase Plastics and California Balsamic and Film Ethnographer LLC for providing community prizes. We also like to thank the comic fans for supporting our social cause comic by buying a copy of Focus at the show. Please order Focus through this website or through one of our retail partner stores today.